Our service goes from the draft to the commissioning through designing, manufacturing, and assembling in the fiels of mechanics and electricity/automation. Before the oven: a wide range of equipments upstream of the oven. Biscuit handling: care of products from the exit of the oven until packgaging. Flow control: our flow control equipment supply different functions. 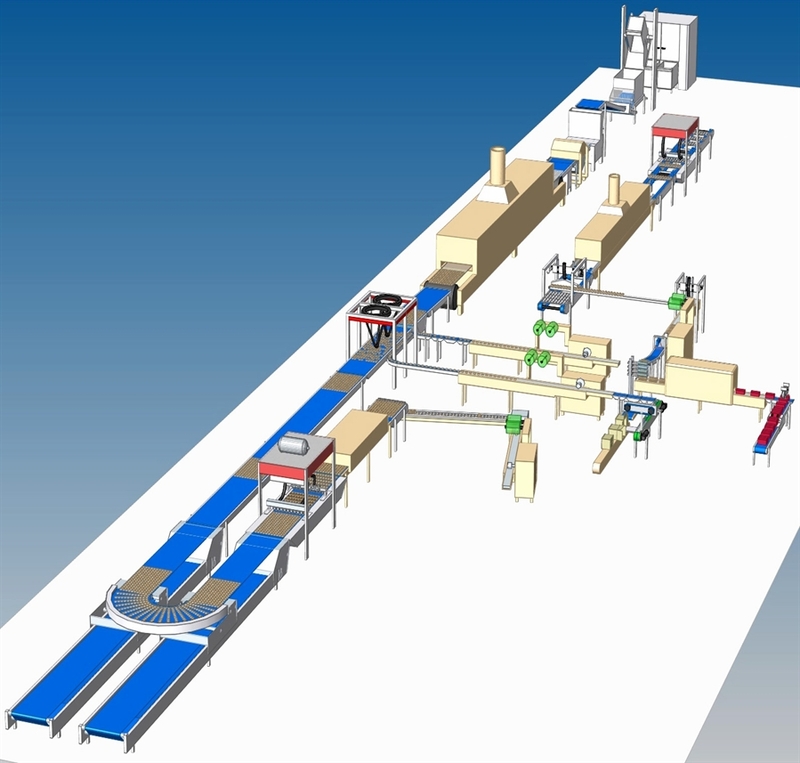 Automatic feeding: all the materials which provide loading of packaging machine. Depositor, filling, sandwiching, moulding: two feeding technologies (fluid feeding and plastic feeding). Inspection by vision: 2D vision and 3D control. Cartons handling: box or tray cartons. Revamping of machines: multidisciplinary know-how (mechanics, automation and electricity). Specific machines: unique solutions fitting specific needs. To discover our range of material defined above, overfly the zones of the production line and click " ? " or on items presented opposite.